Any types of lending procedure starts with building up relationship with customer through account opening. Control of credit operations is done at branch and Corporate Office Level. Most bank loans to individuals arise from a direct request from a customer who approaches a member of the bank’s staff and asks to fill out a loan application. Business can requests, on the other hand, often arise from contacts the bank’s loan officers and sales representatives make as they solicit new accounts from firms operating in the banks market area. Sometimes loan officers will call on the same company for months before the customer finally agrees to give the bank a try by filling out a loan application. A loan procedure starts with a loan application from a client who must have an account with the Bank. At first it starts form the branch. Branch receives application from client for a loan facility. In the application client mention what type of credit facility he/she wants form the Bank including his personal information and business information. Branch Manager or regarding Officer- in charge of credit department conducts the initial interview with the customer. Once a customer decides to request a loan, an interview with a loan officer usually follows right away, giving the customer the opportunity to explain his or her credit needs. That interview is particularly important because it provides an opportunity for the bank’s loan officer to assess the customer’s character and sincerity of purpose. After receiving the loan application form, sends a letter to Bangladesh Bank for obtaining a credit report of the customer from there. This report is called CIB (Credit information Bureau) report. This report is usually collected if the loan amount exceeds Tk. 50 thousands. The purpose of this report is to be informed that whether the borrower has taken loan from any other Bank or not; if ‘yes’ then whether these loans are classified or not. Incase of Corporate Client Financial documents of the company of last three to five years. If the company is new then projected financial data are required. Personal net worth of the borrower/Borrowers. In this stage, the Bank will look whether the documents are properly filled up and signed. Credit in charge of the relevant branch is responsible to know about the ins and outs of the client’s business through discussing with him. If a business or mortgage loan is applied for, a site visit is usually made by an officer of the bank to assess the customer’s location and the condition of the property and to ask clarifying questions. The loan officer may contact other creditors who have previously loaned money to this customer to see what their experience has been.Project for which the loan is applied is inspected by Bank officials. Project’s existence, distance from Bank office, viability, monitoring cost and other possibilities are also examined. If all is favorable to this point, the customer is asked to submit several crucial documents the bank needs in order to fully evaluate the loan request, including complete financial statements and, in the case of a corporation, board of directors’ resolutions authorizing the negotiation of a loan with the bank. Once all documents are on file, the credit analysis division of the bank conducts a thorough financial analysis of them aimed at determining whether the customer has sufficient cash flows and backup assets to repay the loan. The credit analysis division then prepares a brief summary and recommendation, which goes to the loan committee for approval. Any loan proposal needs to be evaluated on the Basis of financial information provided by the applicant. Credit Risk Grading (CRG) is a technique by which the risk of the loan is calculated. 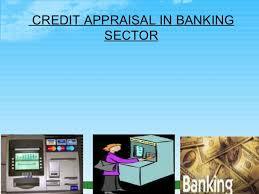 Banker must analyze CRG when loan application is above 1 crore. Experienced people of Credit department in the branch do this analysis. It is a ranking whose total score is 140. Among this score, 120 is for Total Business Risk and 20 for Total Security Risk. If the loan committee approves the customer’s request, the loan officer or the credit committee will usually check on the property or other assets to be pledged as collateral in order to ensure that the bank has immediate access to the collateral or can acquire title to the property involved if the loan agreement is defaulted. This is often referred to as perfecting the bank’s claim to collateral. Once the loan officer and the bank’s loan committee are satisfied that both the loan and the proposed collateral are sound, the note and other documents that make up a loan agreement are prepared and are signed by all parties to the agreement, whether those are properly submitted – regular and up to date or else those documents will be asked to regularize by the client. If the proposal meets PBL’s lending criteria and is within the manager’s discretionary powers, the credit line disapproved. The manager and the sponsoring officer sign the credit line proposal and issue a sanction letter to client. If the value of the credit line is above the branch managers’ limit then it is send to head office for final sanction with detailed information regarding clients, business or purpose of the loan, security papers. Head office processes the credit proposal and afterwards puts up a memorandum to credit committee. The credit committee reviews the credit proposal and accepts or rejects the proposal. After approval by the Credit Committee head office gives an approval letter to the branch and branch gives a sanction letter. The client should accept sanction advice with seal which will prove his agreement with the terms and condition offered by the Bank. After the sanction advice, bank will collect necessary charge document. Charge documents vary on the basis of types of facility, types of collateral. Generally the following charge documents are required as per the nature of the loan. Authority for Borrowing Limited Liability Company. Finally loan is disbursed and monitoring of loan starts as well. What is the Functions of Foreign Exchange? Define Letter of Credit and it’s Banking Procedure.